"Everything was well handled from the beginning." “Everything was well handled from the beginning. The initial meeting with Timothy and Jim was very positive. The process was explained to us and we knew what to expect. we enjoyed their top notch service! 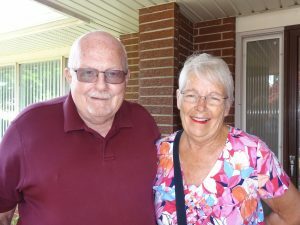 "It was a lovely experience having Jim Gifford as my real estate agent. 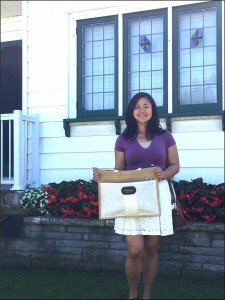 Because I was from out of town, he showed me around the Niagara region to help me determine which area best suited me. Being rather selective we eventually narrowed it down to not only the area but a specific home. I’m ready to move! 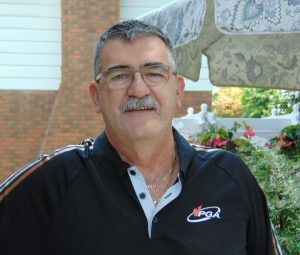 Thanks so much Jim for making this such an enjoyable experience!" 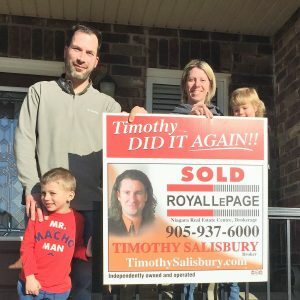 “I’m not a person of many words but since my son (who is also a client of the team) introduced me to Timothy and Jim, everything has been great. The whole process has been a fantastic experience! “The whole process has been a fantastic experience! It was seamless. I got through the whole process without becoming flustered or stressed. It was really easy to stay calm and collected. We've worked with a few different real estate agents in the past and working with this team was completely different. We felt confident immediately after meeting them; confident that they were well versed in this competitive market, experienced as a team, and willing to devote the time and energy into finding us what we wanted right away. The process was painless and the service was outstanding. Never did I once feel like they were in this for the commission. We were very impressed with the Salisbury Team. 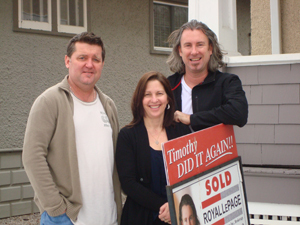 Timothy made contact with us many times, Lisa was great to work with and really knows her business. After looking at a few homes, we found one for us and are very pleased. The whole experience was great and we would definitely recommend Timothy and the team to others, in fact we already have! We were thrilled to have Lisa as our realtor, assisting us in finding our final home. 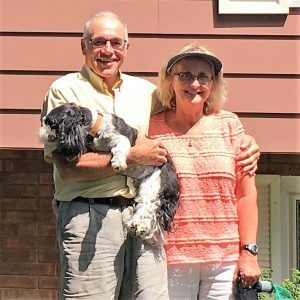 As a retired Navy couple, we have moved many times and now don't plan to move again. Lisa quickly picked up on our requirements and kept us focused. There were some tense and anxious moments, but we were optimistic. 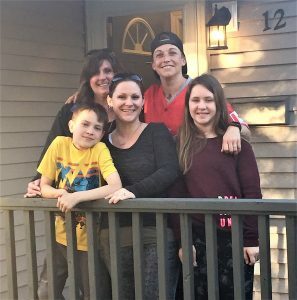 We believe we found "the right house at the right price in the right place." It was a joy being with Lisa as she patiently guided us along this adventure. We will always be grateful to the great folks at the Salisbury Team for all their support. Not that I want any of my friends or family moving to St. Catharines, (!!) but if they persist, we will insist they use the services of the Salisbury Team. Buying a home was a great experience! 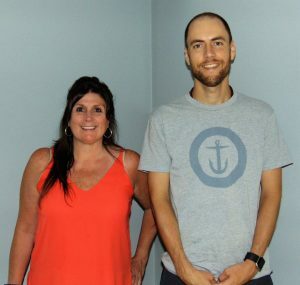 Lisa Punch prepared me with all the details to know for the buying process, then showed me homes and Timothy was in touch, answering my questions. Overall I was very happy with the service provided and thank the Salisbury Team for their expertise! Very excited to be a home owner! Thanks for the great service! 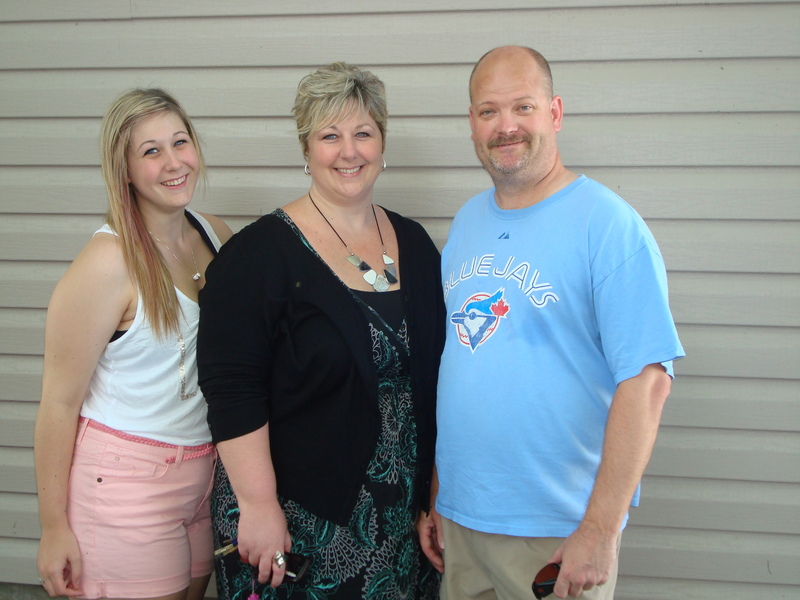 Alison Scott found us the perfect house and was great to serve us quickly and efficiently. Timothy was always in communication making sure things were going well. 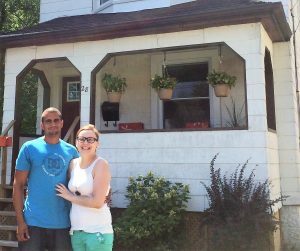 In the end, it was a seamless process and we are very happy to have found this home! Wow! They know their business! 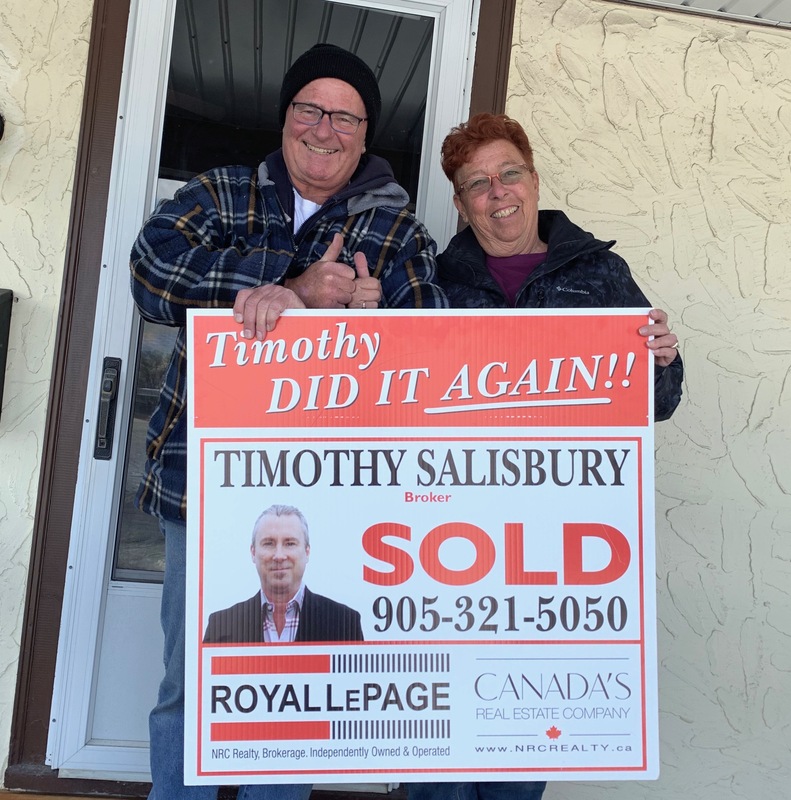 The Salisbury team just helped a family member buy their first home and now it was our turn! 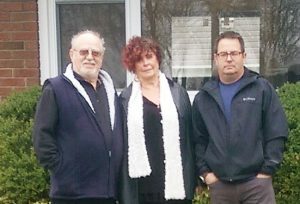 The Team's depth of knowledge is considerable and it afforded us the opportunity to actually enjoy our home buying experience without much stress. Lisa was great! It was great working with Alison Scott. 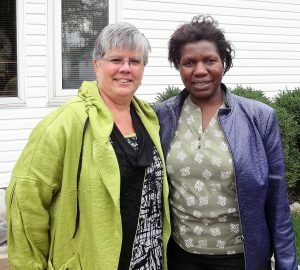 When I was ready to give up or felt bad about taking her everywhere in Niagara to find a home, Alison was there to give me the push I needed to stay with it. I found my perfect home and thanks so much to the Salisbury Team and Alison for their hard work! I know I will be very happy here! 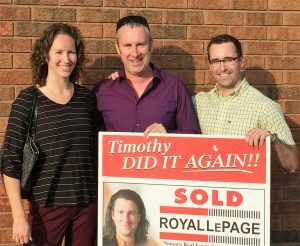 Lisa and Timothy were amazing throughout our buying process. We needed their experience and knowledge to navigate through this hot real estate market. They delivered! Lisa “beat others to the PUNCH!" got our offer accepted fast and somehow with no competition! We would recommend Lisa and The Salisbury Team to anyone looking to buy a home or sell. What a great experience working with The Salisbury Team, and especially Lisa Punch who always made time for us. 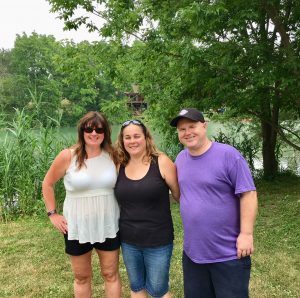 Lisa was more than willing to set up appointments and travel wherever our search took us which included pretty much everywhere in Niagara and more. 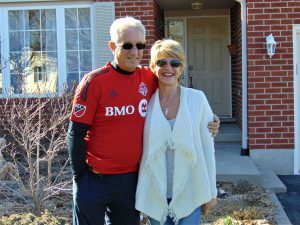 From Grimsby to St Catharines to Fort Erie to Dunnville with prices ranging from high to low, Lisa and Tim always rolled with us as our property search evolved over time. 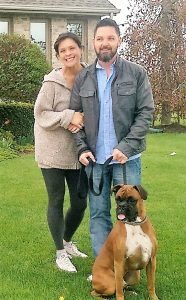 Always supportive, no pressure, with good advice along the way, we always believed that our satisfaction was more important to them than just selling us a house....we would absolutely recommend the Salisbury Team. We have worked so hard in the past 6 years and now we enter a new journey with our family! We signed the papers and are officially home owners! 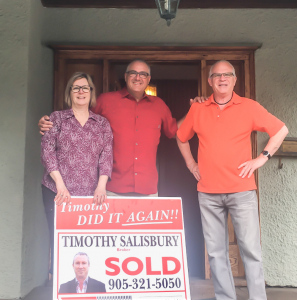 Thank you to Alison Scott for finding us our perfect home and Timothy Salisbury for all the follow up! It's been an awesome experience and we are so excited. 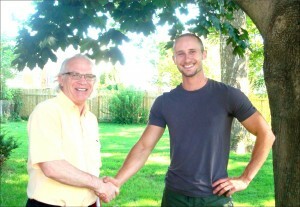 Thanks so much to Timothy for quickly picking up our referral from Barrie area and working with us here to buy a home. Jim Gifford made the process a pleasure with his easy going personality. We were from out of town and he was so accommodating to work with our availability. The team’s astuteness and co-operativeness made this a simple process for us. This was a great experience and I would for sure recommend the Salisbury Team to everyone! 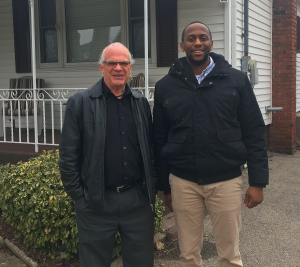 Jim took me out to several homes and gave me wise advice in our travels. It took a bit of work, but I found a great home! Thanks so much to Jim and the Salisbury Team! It was an overall good experience. 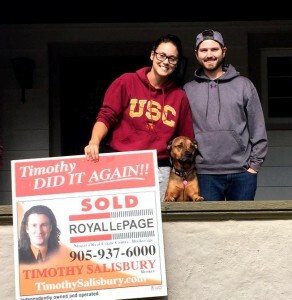 As first-time home buyers we found Timothy and his team to be great with us! They made clear every step of the process and Jim addressed any concerns we had. Exceptional individuals and exceptional service! 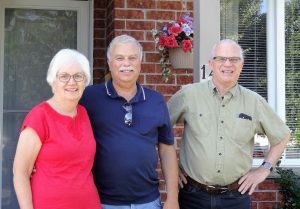 It was a stressful situation moving all the way from Barrie to Niagara Falls but Tim and his team, especially Lisa, found us a great house that worked for my Dad and I. Thanks guys! 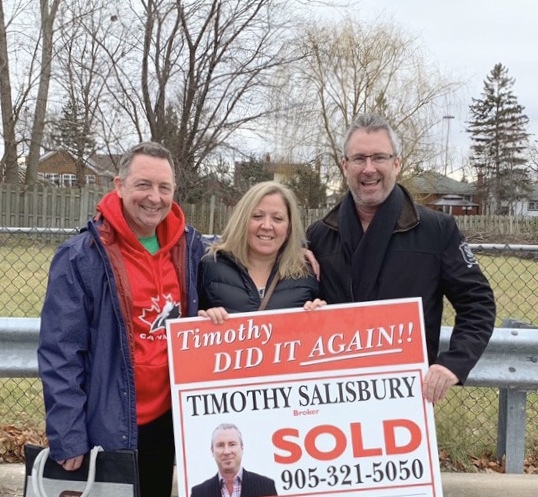 We are so happy overall with the Salisbury Team and especially Lisa Punch for finding us our first home. Thanks for everything guys! Lorna & I would like to thank the Timothy Salisbury and his team and especially Lisa Punch for making our dream come true. 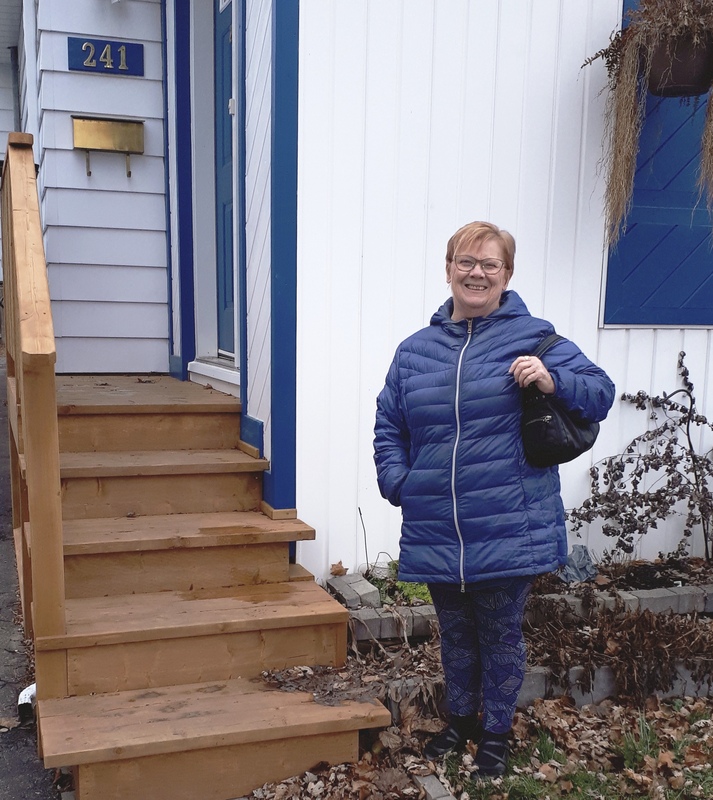 Lisa's perfect balance of professionalism and charismatic personality allowed us to go through the process of looking for a house with ease and successfully helped us find our perfect HOME! Thank you Lisa. We couldn't have done this without you! It was difficult to find a home in this market, but we took the best of the best and can fix up the rest. Jim was a great help but we haven’t seen the end of him yet as we need a man who knows the area and the trades. Everyone was great to work with, process was smooth and thanks to all on the Salisbury team! Thanks to the Salisbury Team for their professional friendly service. It was great to work with Jim Gifford from the team. The mortgage approval process was hard, but I was able to find a home to my liking, which made the process worth it in the end. 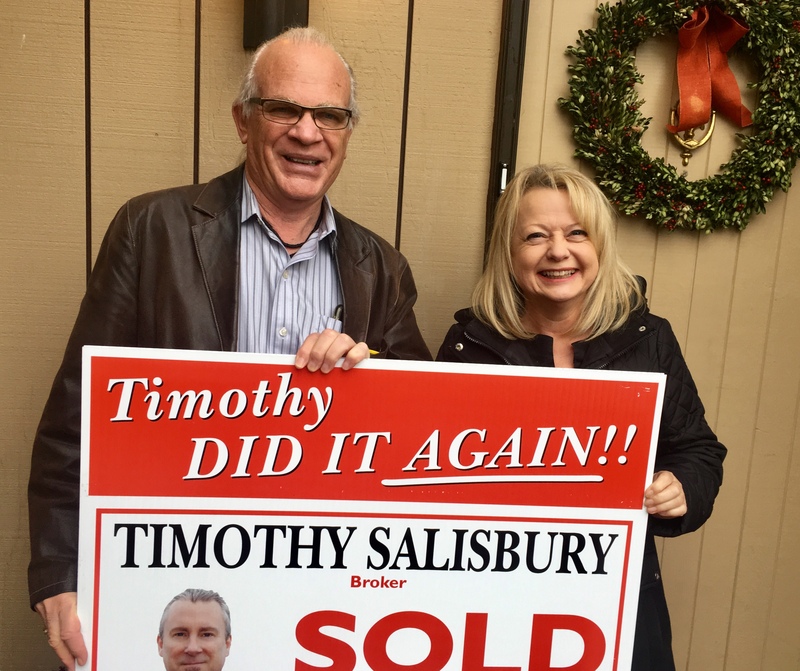 The Salisbury Team was so helpful and provided critical information that helped me successfully purchase my 1st home. Special thanks to Alison of the team, her patience was appreciated. Buying a house was easier than I thought it would be, but choosing the right agent took away the stress. 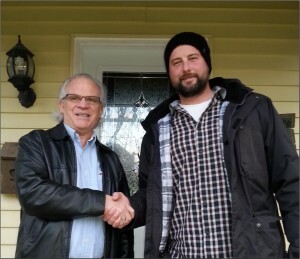 It was hard to find a house that was in good shape and clean, but Jim assured me I would find something and I did. Jim was there to teach me everything I needed to know along the way. Thanks very much to Jim, Timothy and the Salisbury Team. It’s all done and it all worked out great! Jim Gifford of The Salisbury Team was terrific! 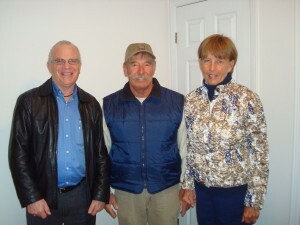 He was honest, a great listener and showed us some great condo's before we bought the one that was just right for us. All the connections in The Salisbury Team network were a bonus as well, since we needed to get some renovations done. 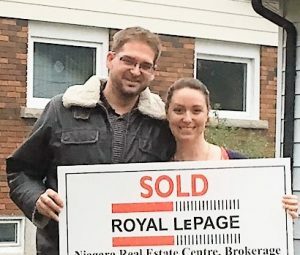 From our first discussion to the picture in front of our first home, Yoko and I knew we were working with a professional and a team that wanted the best for us. Timothy and his team cared for each detail and were there for us to answer every question. I was blown away with how thorough and thoughtful the team was, it was like buying a house in the care of a family member. Two weeks after we purchased our home it was my birthday. Timothy was thoughtful enough to check up on how we were doing with our new place and he took the time to wish me happy birthday. Tim made my day! 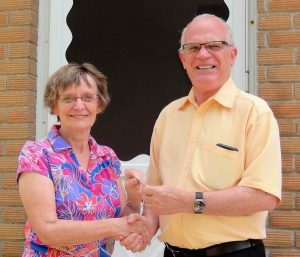 It’s been 42 years since we made a move and we thought this might be a challenge, but Timothy Salisbury and his team of professionals made all the details of the move very smooth. 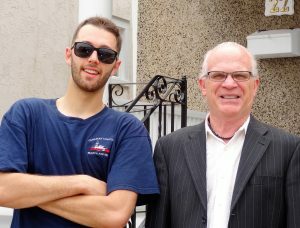 From the start, Timothy explained the buying and selling process, and helped along the way by giving us referrals for moving companies to contractors for renovation work. We are well on our way to moving into our new home and couldn’t be happier with the Salisbury Team. Thanks for a job well done! Timothy and his team are always ready and willing to help us with any of our needs. They were always quick to respond, efficient and flexible. They have our best interest in mind and if any kind of barrier presented itself, whether small or large, they were always there being positive and reassuring. 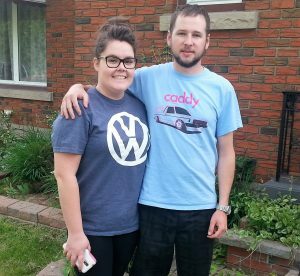 They took the time to learn what was important to us and supported us through our property search. 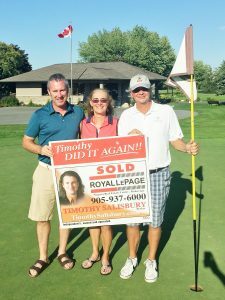 On a side note, we have been working with Timothy for 14 years now and can't imagine working with anyone else when it comes to our Real Estate needs. He is very trustworthy, personable, thoughtful and reliable. 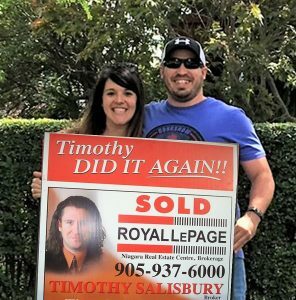 Any time we know of anyone looking to sell or buy we immediately provide Timothy's name because we believe there isn't anyone else that knows the in's and out's of Real Estate like he does. Thank you for everything Tim. 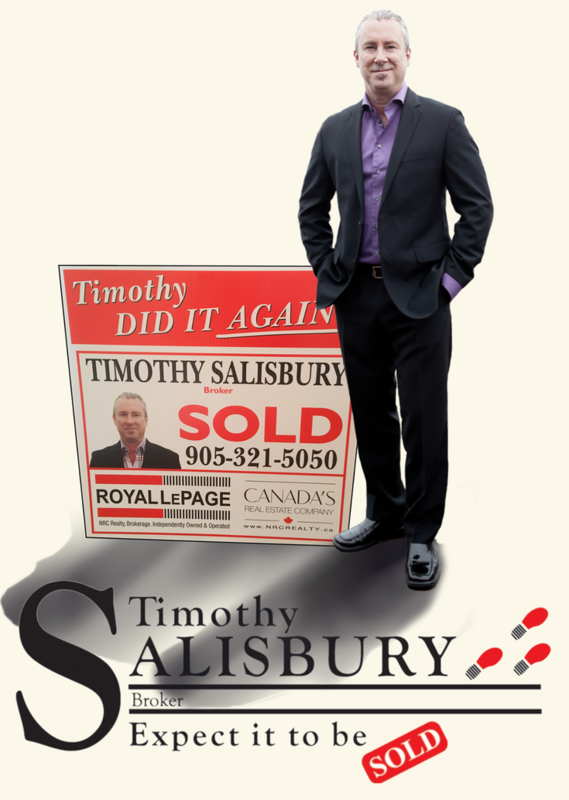 I met Mr. Salisbury a few weeks ago regarding a piece of property I inquired about, and later purchased successfully. Throughout the process he seemed very professional, all the while being down to earth and a pretty fun guy to be around. His pleasant demeanour and patience shined throughout and I would definitely recommend him to friends and family. When entrusting your real estate decisions to the Salisbury Team you can rely on professional and clear advice by the entire team. I have thorough confidence in their knowledge, expertise and their customer service is exceptional. 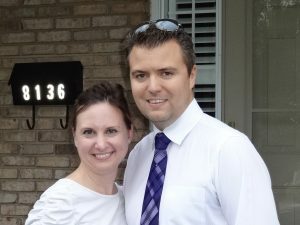 Home buying can be a challenging decision with many questions along the way, however, Tim and his team make the experience a comfortable and exciting one. Thanks again Tim! Jim Gifford of The Salisbury Team was a great sales representative. He was very helpful and answered all the questions I had. Jim knew what I was looking for after our first meeting and took his time with me to find my perfect home. The worst thing was being under pressure to find and buy a home before June 1. I close May 16th and am moving in on the long weekend! Thanks to Jim, Timothy and The Salisbury Team – it’s been a great experience.